James DeGale MBE came to Las Vegas with his career on the line, but emerged victorious to became a Two-Time World Champion when he reclaimed his IBF World Super-Middleweight title from Caleb Truax at the Hard Rock Hotel & Casino this morning. 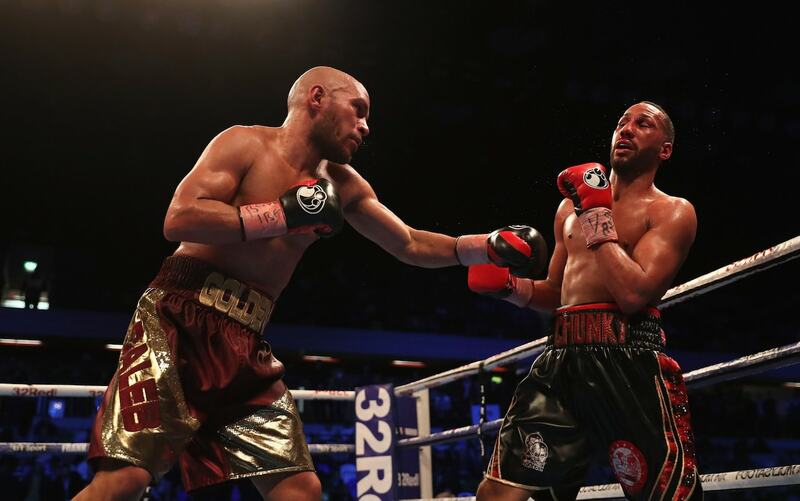 DeGale outgritted a tough Truax – who took the title from DeGale with a shock win last December in London – to win by unanimous decision on the judges’ scorecards with scores of 117-10 and 114-113 (twice). Chunky showed his fighting heart by having to overcome a deep cut over his right eyebrow from the third round, with blood streaming down his face that impaired his vision, which was caused by a clear headbutt from Truax. He then, disgracefully, had a point deducted by referee Robert Byrd for nudging with his shoulder in a clinch that was initiated by Truax. However, the Londoner dug deep into himself and used his better technical skill to keep Truax at bay and cut the Minnesota fighter over both eyes and marked his face up with the heavier punches to win on his Las Vegas debut. The sensational win has shot DeGale straight back into the elite 168-pound mix and he now has many options in front of him, including a potential showdown with the winner out of George Groves and Callum Smith in the World Boxing Super Series.